With its straight styles and braids, bright colors and au naturel looks, this spring's beauty trends can be described as youthful, cheerful, and simple. The styles aren't futuristic in that way that is often difficult to conceive of upon first viewing runway shows and grasping their concepts. While the ideas may seem rather simple - almost recycled - it's refreshing to have elements of the not-so-distant past invited back to once again become the definition of modern. 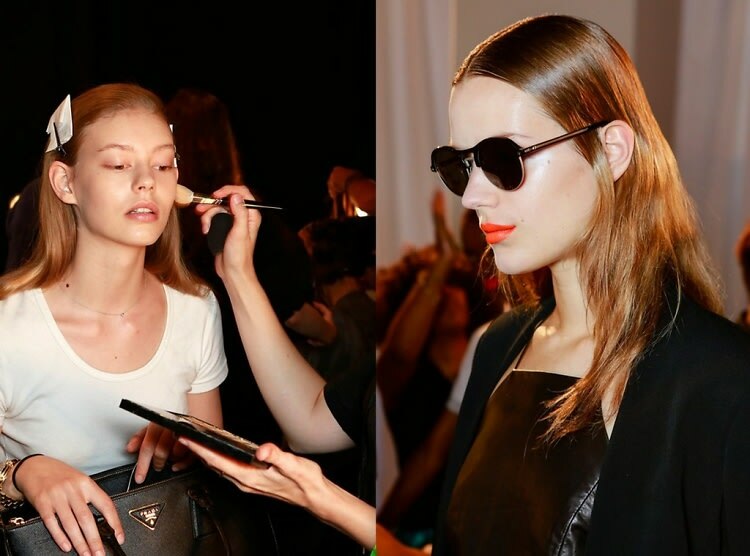 Click through for 6 of our favorite runway-inspired beauty trends to start wearing now.